The Austin, TX-based singer and songwriter made an immediate impact with her 1996 debut, Living With Ghosts, and its 1998 follow-up, Flaming Red – both now considered seminal works of modern folk and Americana. Since then, Griffin’s diverse body of work spans such classic LPs as 2002’s GRAMMY® Award- nominated 1000 Kisses – later ranked #15 on Paste’s “The 50 Best Albums of the Decade (2000-2009),” — to 2007’s Children Running Through, honored by the Americana Music Association with two Americana Honors & Awards including “Artist of the Year” and “Album of the Year.” To date, Griffin has received seven total nominations from the Americana Music Association, affirming her as one of the far-reaching genre’s leading proponents. 2011’s Downtown Church – which blends traditional gospel favorites with Griffin’s own spiritually questioning material – debuted at #1 on both Billboard’s “Folk Albums” and “Christian Albums” charts before winning 2011’s “Best Traditional Gospel Album” GRAMMY® Award, Griffin’s first solo GRAMMY® triumph among seven total career nominations. Griffin’s most recent LP, 2015’s Servant Of Love, marked the first release on her own PGM Recordings label via Thirty Tigers. Applauded by The Guardian as “bravely experimental,” the collection saw Griffin earn still another GRAMMY® Award nomination, this time in the “Best Folk Album” category. Widely regarded among the best pure songwriters of this or any other era, Griffin has had her work performed by a truly epic assortment of her fellow artists, among them Linda Ronstadt, Emmylou Harris, Solomon Burke, The Dixie Chicks, Kelly Clarkson & Jeff Beck, Martina McBride, Miranda Lambert, Melissa Etheridge and Susan Boyle, to name but a few. Her songs have also been showcased in a variety of film, TV, and theatre projects, with her original music and lyrics featured in the 2007 musical, 10 Million Miles, produced Off- Broadway by the Atlantic Theatre Company and directed by Tony Award-winner Michael Mayer. Griffin has also been joined in the studio by a veritable who’s-who of contemporary Americana, including Harris, Buddy & Julie Miller, Shawn Colvin, Jim Lauderdale, Raul Malo, Ian McLagen, JD Foster, and many others. As if her own remarkable career weren’t enough, Griffin has found time to collaborate with a wide range of like- minded artists, among them Joshua Radin, Todd Snider, Dierks Bentley, Robert Plant, Jack Ingram, Gillian Welch, and David Rawlings. In addition to her creative career, Griffin has also devoted considerable energy and focus towards the wellbeing of the planet as well as showing compassion for the less fortunate among us via personal and public acts of charity including helping to create the Lampedusa tours supporting the Jesuit Refugee Service. 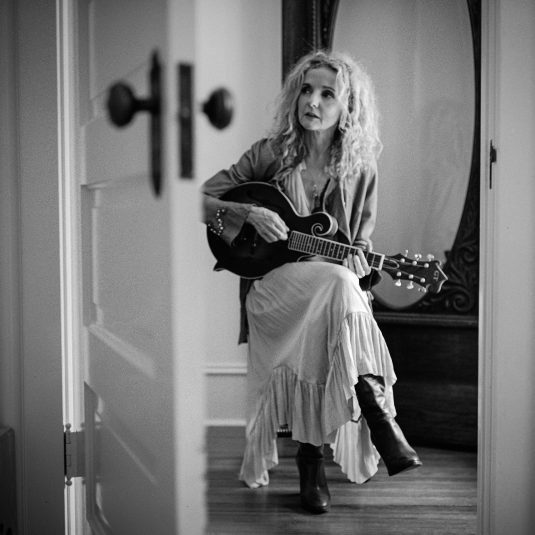 Having crafted a rich catalog that chronicles love and death, heartache and joy, connection and detachment, Patty Griffin continues to push her art forward, as always imbuing every effort with compassion and craft, uncanny perception, and ever-increasing ingenuity. Stage Schedule Announced in June 2019. Weekend tickets are currently available at presale prices. Purchase by 11:59 pm on Thursday, April 11, 2019.